People not in the IT industry or business owners trying to hire a company for PHP website development services may find it more than a bit challenging to know what to ask. In addition to a lot of very technical information, it is also challenging to know if you are being told the industry standard answers or if the person being interviewed is vague and lacks precision in answers, indicating a lack of experience and expertise. To help those business professionals without an IT background to hire PHP website development services with confidence, here are some important general questions to ask. This is a great opening question, and it allows the professional to provide specific details as to their actual experience in the industry. It is also important to ask about training and certifications that the individual holds that are related to PHP development as well as website development. Top professionals and companies will have information on past projects and will also be able to provide names as references. It is worth the time to verify references with a quick phone call or email to get an idea of the experience from past or current clients. 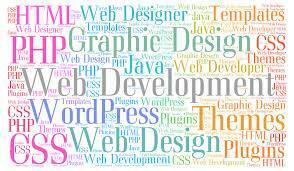 As for a cost estimate for the PHP website development as discussed. Experienced professionals will be able to provide an estimate of the total cost after listening to your requirements for the website. A written quote will be very helpful and ask for it to be broken down by services for comparison. During this initial meeting, whether in person or by phone, think about the ease of communication. Did the professional answer questions clearly and with precise information? Did you feel comfortable in asking questions and did the professional take the time to give clear explanations? As you will need to communicate throughout the website development, working with someone you can talk to and that listens to requests will be an important aspect of streamlining the project. Why Hiring the Best Atlanta Mobile App Development Company Is Important?